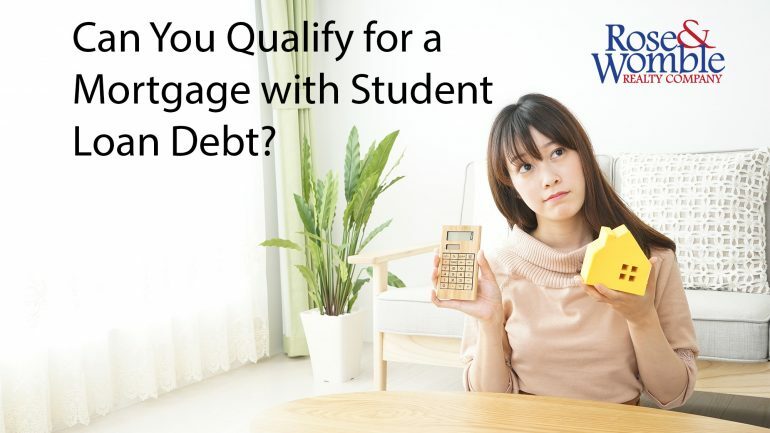 Can You Qualify for a Mortgage with Student Loan Debt? - Rose & Womble Realty Co. If you recently graduated from college, chances are you have some student debt. But that doesn’t mean it’s impossible to qualify for a mortgage, even while paying off your debt. Mortgage Professional Matt Sines says this scenario is actually very common. If you have student loan debt review these three factors below before you buy. Debt-to-income ratio is calculated by adding up all your monthly debt payments, including expected Housing payment(s), and dividing them by gross monthly income. So what is considered a debt payment? Student loans, auto loans, credit card debt, and any other installment or revolving debt that you are obligated to repay. Lenders generally follow something called the 28/36 rule. This means that no more than 28 percent of your gross income should go to your mortgage payment, property taxes, and insurance. Additionally, your total debt payments, including expected mortgage payment, should be no more than 36 percent of your gross income. In some cases, however, lenders will approve mortgages with debt-to-income ratios of up to 43 percent or higher. For example, the Federal Housing Administration requires a debt-to-income ratio (including your mortgage payments) of 43 percent or less. Initially reduce your monthly payments by switching to a graduated repayment plan. With a graduated repayment plan, payments start low then rise every two years as your income level rises. Your payment will factor into your DTI differently, depending on your specific loan program, according to Matt. 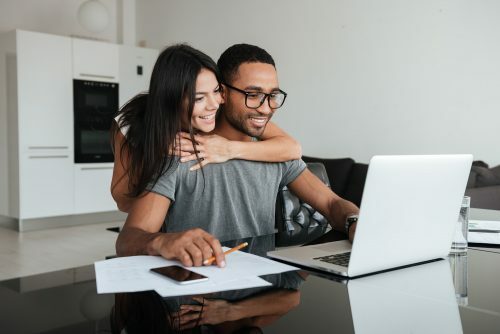 “Conventional loans will typically use the payment shown on the credit report or use 1% of the loan balance if the loan is in deferment or if no payment is reported,” Matt says. Request to lengthen your term, thereby reducing the amount that you owe each month. You will pay more interest in the long run but will reduce your debt-to-income ratio in the meantime. “This allows you to purchase an asset with the chance for appreciation. The extra interest one would pay in extending student loan payments is likely minimal compared to equity gained and tax benefit realized by owning a home. Granted, this cannot be guaranteed and depends on the individual’s scenario and what happens in the future,” said Matt. Consolidate different student loans at a lower interest rate, reducing your payments and packaging them together in one convenient monthly payment. There is good news for those who have to make student debt payments each month. 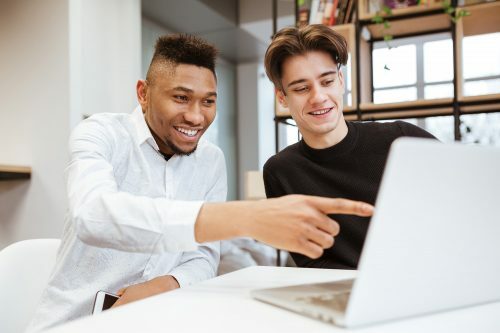 Paying your student loans on time each month is an excellent way to build good credit, which will play a major factor in your ability to qualify for a loan. Borrowers with better credit scores can qualify for lower interest rates, which means lower monthly payments. Unlike credit card debt, student loan debt is an installment loan in which you are required to pay a fixed amount each month. Owning a large amount in an installment debt won’t hurt your credit score like a large amount of credit card debt would. “I have noticed more than a few applicants that have had their credit hurt because of delinquencies with student loans. This usually occurs when they come out of deferment and go into repayment. It is important that the applicants know the status of their student loans. The lingering effects of missed payments can affect one’s credit score for 7 years,” Matt says. If your debt-to-loan ratio is too high, you could possibly offset that by saving for a large down payment. This will reduce the amount you have to finance and will give you a lower monthly payment, changing your debt-to-income ratio. Although it will be harder to save with monthly student loan payments, it can still be done. By pinching pennies for a few years, you could be well on your way to a down payment. If you’re unable to save for a down payment, your loan officer can help you apply for grants and down payment assistant programs. Matt Sines is a loan officer with FitzGerald Financial, a Division of TowneBank Mortgage. He can be reached at 240-403-3428 or via email at matt.sines@fitzgeraldfinancial.net (NMLS # 706232). The information contained herein (including but not limited to any description of TowneBank Mortgage, its affiliates and its lending programs and products, eligibility criteria, interest rates, fees and all other loan terms) is subject to change without notice. This is not a commitment to lend. This should not be considered financial or tax advice. You should consult with a tax accountant or other professional to determine what may be best for you personally.